The Canberra Brave. Photo: Paul Furness, AIHL. It is always best to start a column such as this by saying; it is subjective! When it comes to sport stories that are highlights, I tend to veer towards those with a decent backstory. For this, I am talking about stories that involve a certain amount of hardship before success. From that viewpoint there are a couple of stories that readily come to mind. 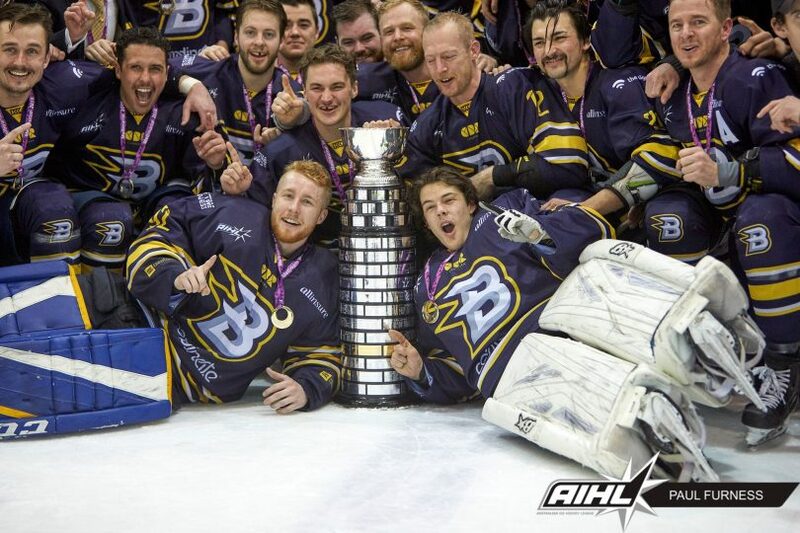 The Canberra Brave ice hockey team won the National League for the first time this year. The Brave defeated the Sydney Bears 4-3 in the grand-final. The deciding game reflected the life cycle of the team itself. The Brave trailed the Bears 3-2 before equalizing, then scoring the winning goal in overtime. Why do I single out this team? The Brave, in a previous life, had folded due to lack of funding and success. Then along came a couple of business people who didn’t necessarily have an interest in ice hockey but believed it was good for Canberra to have a team in the national league. The previous incarnation, known as the Canberra Knights, had folded only to be resurrected in 2014 as the Brave. For the team to win the National League four years later is nothing short of incredible. Caroline Buchanan can only be described as fearless. Photo: Caroline Buchanan website. Another highlight story is one, steeped in courage and resilience. 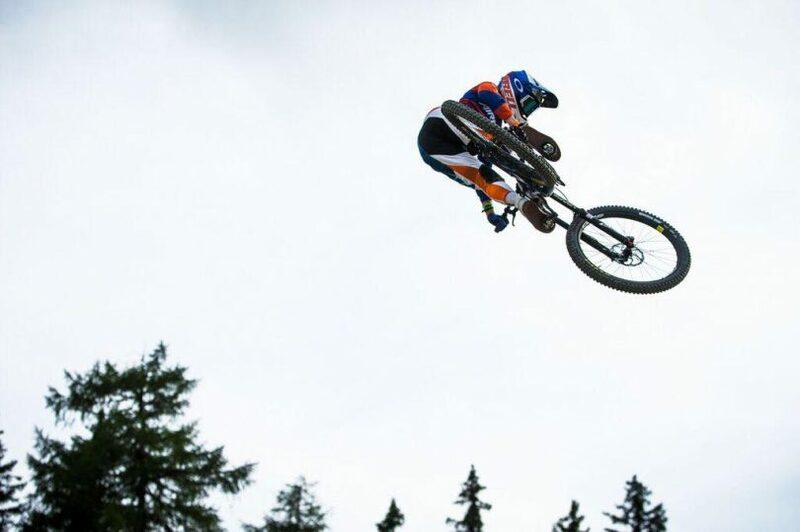 Canberra BMX and mountain bike world champion Caroline Buchanan suffered life-threatening injuries after falling from an off-road buggy on a farm near Cooma. She suffered multiple injuries including collapsed lungs and a broken sternum. Caroline returned to competition this year, but has just undergone a second round of surgery on her sternum. I can only wish Caroline all the best in the future. She certainly has demonstrated that she is determined to make the very most of every opportunity against the odds. Seventeen-year-old schoolgirl, Keely Small, represented Australia in the Commonwealth Games on the Gold Coast in the 800 metres track event whilst still a student at St Clare’s College. Keely went on to win gold in the 800 metres at the Junior Olympics in Argentina. To juggle the commitment required to compete at such a high level in sport and also cope with the demands of school, shows a maturity and focus well beyond her years. Whatever Keely pursues in the future, these qualities will remain vital. Two-year Kiwi curse over as Brumbies beat Hurricanes. Photo: Photox – Canberra Photography Services. 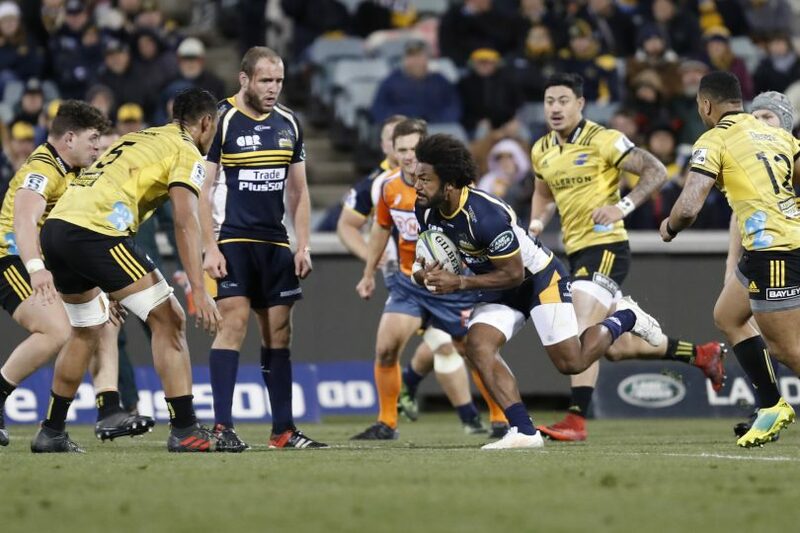 The Brumbies finally defeated a New Zealand team in June when they accounted for the Hurricanes 24-12 at Canberra Stadium. It was the Brumbies first win against a New Zealand team since 2016. The collective sigh across Canberra must have been heard across the Tasman Sea. Let’s hope this becomes a feature in 2019. We return to the Commonwealth Games for my top sports story for 2018. Canberra cyclist, Chloe Hosking, won gold in the 112 kilometre women’s road race with a beautiful and brave ride, building on the support provided by her hardworking teammates. The victory was a headline story in itself but the drama in the lead-up made the success even that more meteoric. Seven months before riding to gold, Chloe had been told that she wasn’t good enough to represent Australia at the World titles in Norway in September 2018. History will show that she appealed against the decision and went on to race in Norway. Instead of capitulating, Chloe used the non-selection saga as a wakeup call and changed her approach to the sport. She hired a sports nutritionist and a sports psychologist. Then a day before she was due to fly to Australia to prepare for the Commonwealth Games, Chloe crashed in the Tour of Flanders in Belgium and was taken to hospital. She was concerned she had broken her shin. As it turned out, there was no break and she was free to fly to Australia. A week later Chloe recorded the greatest victory in her career so far. I know it's arts not sport, but it is a competition...Debacle Quartet, a women's a cappella quartet from Canberra, won the national women's barbershop quartet championship in Hobart in May, then represented Australia at the international championships in St Louis in October. We went into the international contest seeded 43rd and came 21st! The Canberra Roller Derby League had a breakout year as well, wining 2 major tournaments.